Whether it’s a business expenses or personal expense you can track all your expenses right from Easy. Create bills for your company expenses. 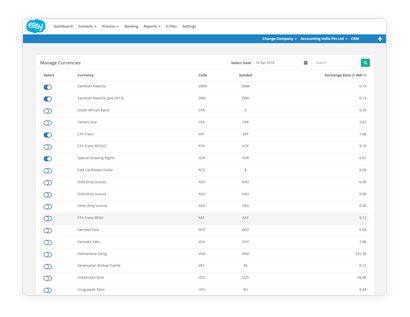 Recurring bills facility saves your time by setting up regular payments for suppliers. Upload attachments to your bills. Easily make copies of existing purchase bills. Scan your bills from the Easy Mobile app and file them in your account. Digitise receipts to save your time. Our digital receipts team will automatically create bills from the receipts you have uploaded in your account. Whether it’s a business expense or personal expense you can track all your expenses right from Easy. Upload the scanned receipt to Easy, don’t worry anymore of losing them. Once they are in Easy they are secure. Easily manage payment of all expenses to reflect them in your bank statement. 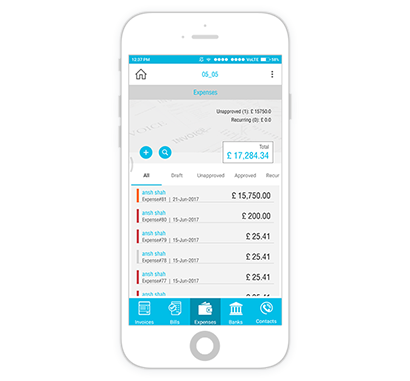 Use our mobile app to snap the receipt as soon as you get it and upload them on Easy so you never miss them. You can also create the expenses at the same time saving your time and forgetting claiming it later on. Multi currency lets you file your bills and expenses even if the expenses have been done in other country. Just select the currency in which you made the expenses and Easy will handle rest for you. 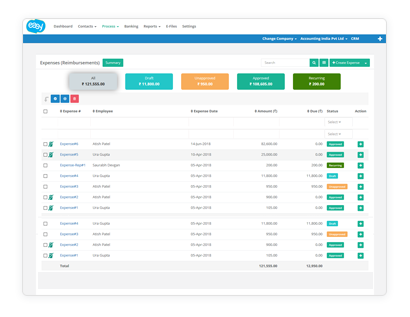 Record all your employee expenses and pay them on time. You can easily reimburse those expenses to your employees. Get the overview of spending by each employee so you know where they are spending more and where you have to put cut.